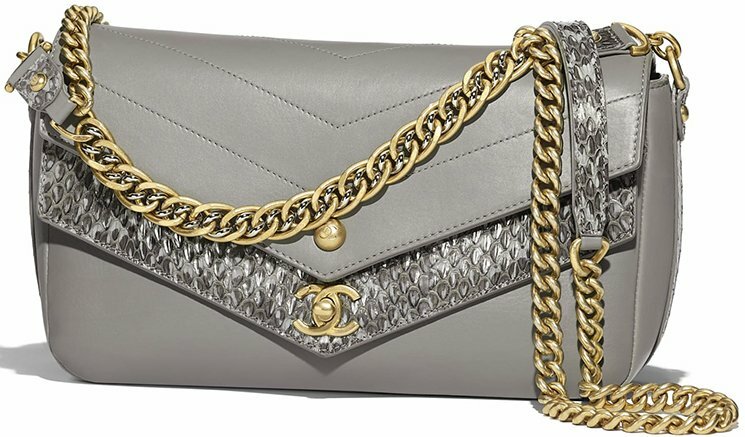 Not every seasonal handbag is lower priced than the Classic Flap Bag. 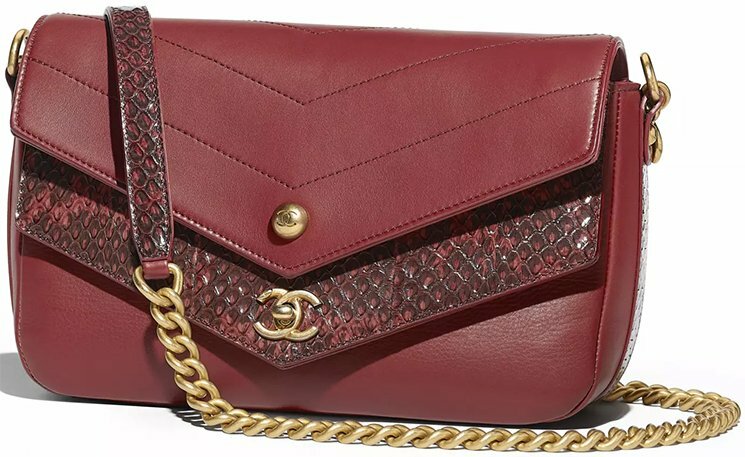 But for the Chanel Elaphe Double Chevron Flap Bag from the Pre-Fall 2018 Collection, we get the value for the cash we invest. Not only is the style refreshing and unique, but it’s created with a touch of exotic leather. The overall appearance feels fabulous and timeless. So should we put it on our wish list? The chevron quilting is as famous as the diamond quilting because both appear to be chic. The Double Chevron Flap Bag is designed with a chevron-stitched flap, but below the flap it’s made in smooth leather. The chevron stitching moves from the flap to the back. But what’s truly overwhelmingly gorgeous is the double flap. The outer flap is crafted in calfskin, but there is another flap behind the calfskin flap. That flap is made from Elaphe, which is an exotic leather. 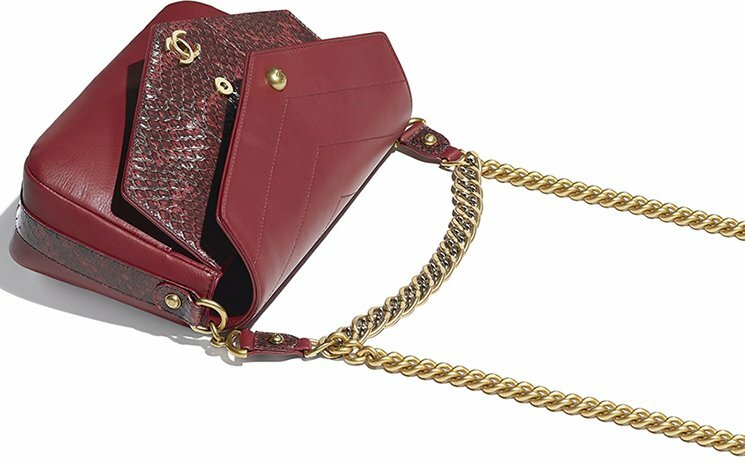 The Elaphe flap is crafted with the CC logo, but the calfskin flap is also built with a gold button cc that function as a closure. 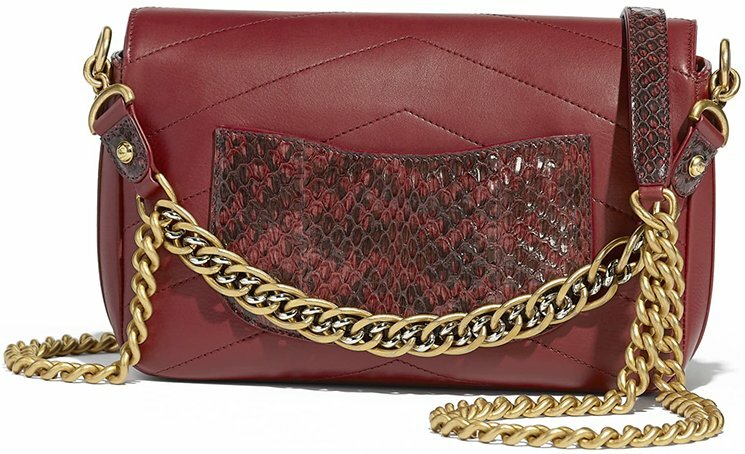 The sides are also embellished with Elaphe leather as well as the leather patch of the chain-leather strap. And also, the reason why we crazy about the bag is the multiple ways of carrying. 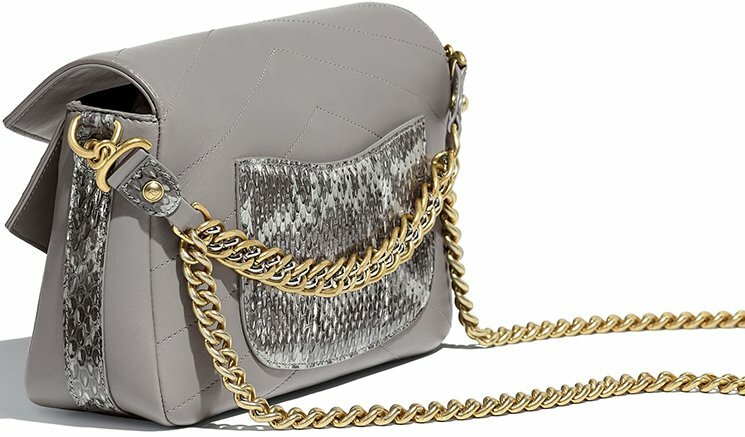 The chain can be used as a handle bag (this handle chain is made from gold and silver hardware). Then there is a long chain with leather patch for shoulder carry. The back also comes with a back pocket just like the classics. This back pocket is also made from Elpahe. This is a flap bag, which means that there is enough space for your must-take essentials. And also the interior space depends on the size of the bag. There are multiple sizes, but the ‘mini size’ is comparable to the Small Classic Flap Bag, but then a bit smaller. 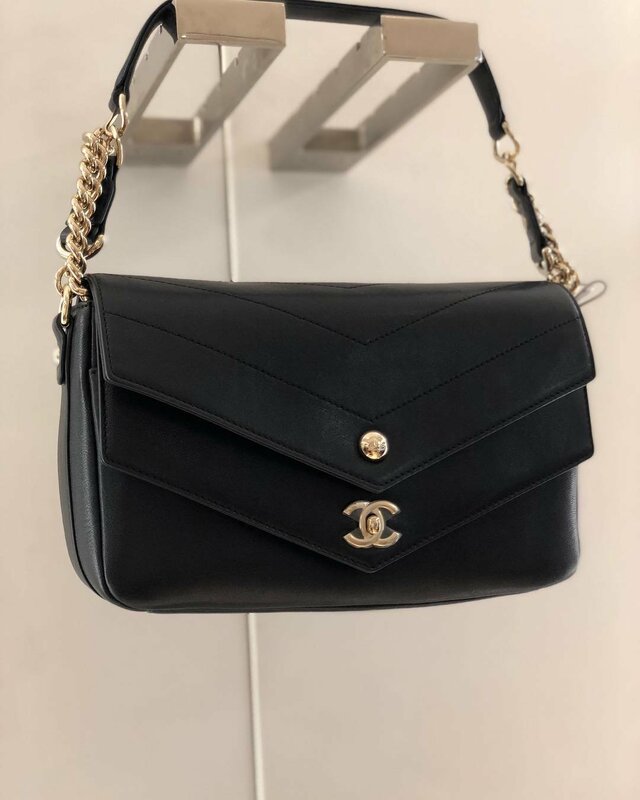 The size of the Chanel Mini Double Chevron Flap Bag is 5.5’ x 2.3’ x 8.6’ inches and the price of the Small Classic Flap Bag is 5.7’ x 9.3’ x 2.3’ inches. Just to give you some comparison.